@Heartache1992 Hi Sadira, I'm hoping it will be this year. I'm looking into some funding at the moment. Will keep you posted. 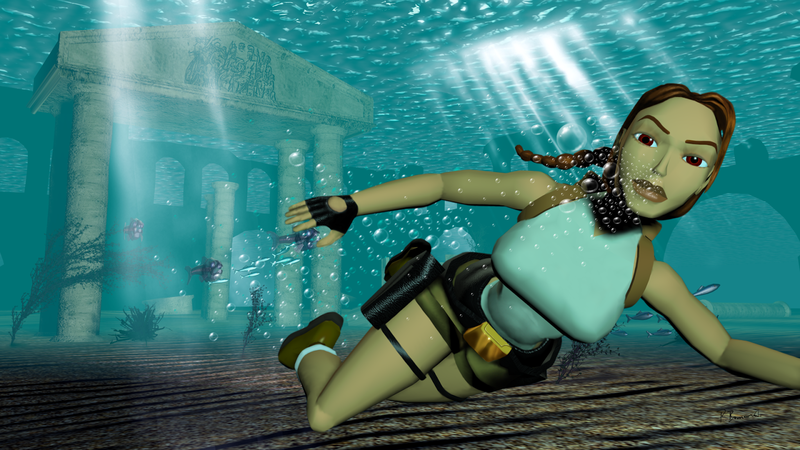 2014 marks the 18th anniversary of the phenomenally successful video game featuring iconic heroine Lara Croft. Of the entire saga to follow, to date only the soundtrack to 2013's reboot, Tomb Raider, has seen a commercial soundtrack release. Hopefully this major hole in the periphery market is finally being repaired. After too long without appearance, last year McCree was interviewed by Daryl Baxter for Platform Magazine. Discussion on McCree's Facebook page has occasionally hinted at the subject of a soundtrack release and the composer is quite new to Twitter. His professional profile can be found at LinkedIn. We should ask Nathan one more time... Can't wait to hear some tracks that I never heard before.